This end unit is the most desirable in all of the Silver Shells resort. 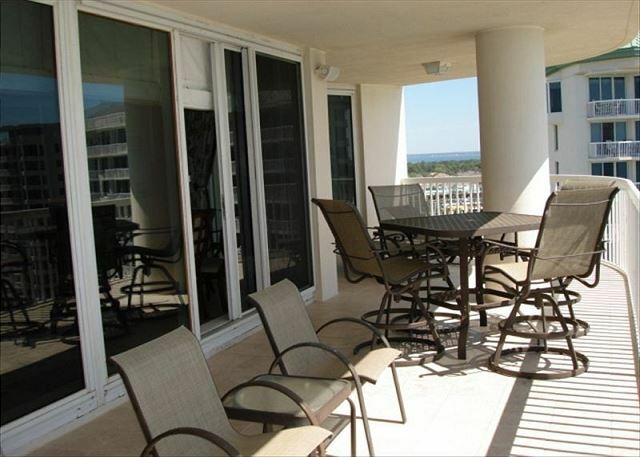 Gulf front with sweeping views of the beautiful surf from the wraparound balcony. Floor to ceiling views of the water from the Living Room and the Master Bedroom. Step off the elevator directly into the foyer of this gorgeous vacation home. The unit sleeps 8 guests comfortably. 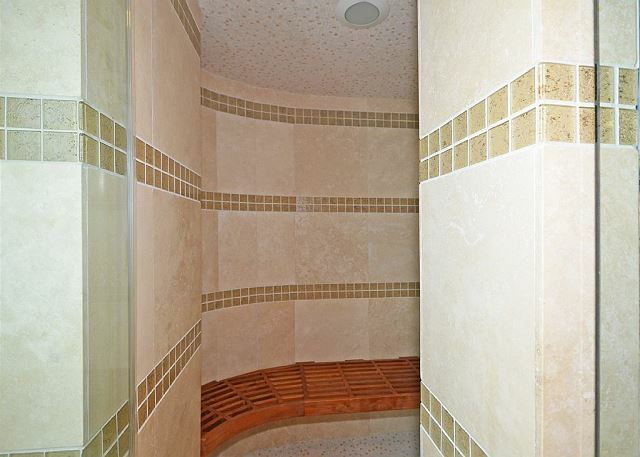 King in Master, Queen in Second and Third Bedrooms, each with own bath. Full sleeper sofa in Living Room. 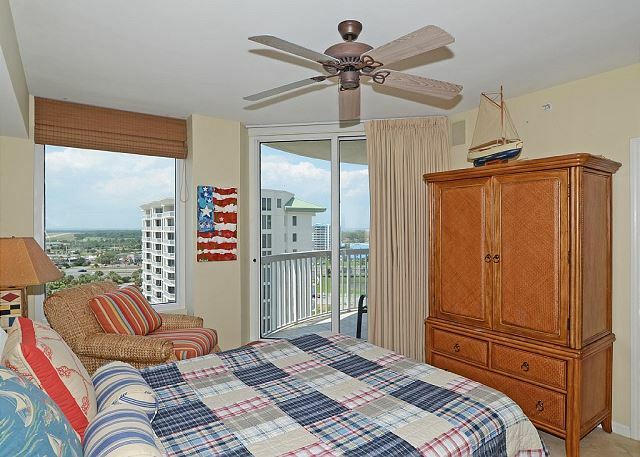 The Second and Third Bedrooms open onto a balcony with views of the resort, MidBay Bridge and most of the City of Destin. Ceiling fans in each bedroom. Dining table seats 6+ with 4 stools at the kitchen counter bar. 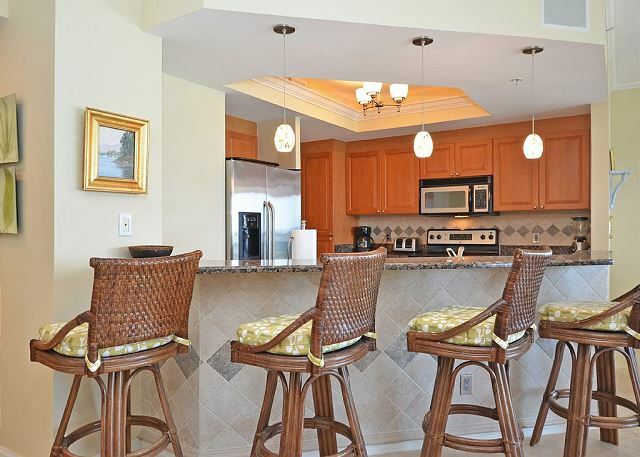 The fully equipped kitchen has updated appliances and all the amenities. 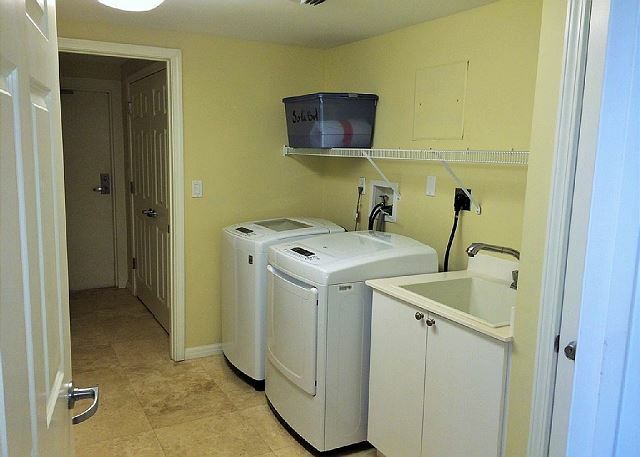 Laundry room has full size washer and dryer as well as a deep laundry sink. Each Bedroom has a flat screen television with DVD player. Living Room has a large flat screen TV with Blu-Ray player. WiFi is complementary. The spacious wraparound balcony on the southeast side provides for magnificent outdoor entertaining with gorgeous beach, pool and resort views. 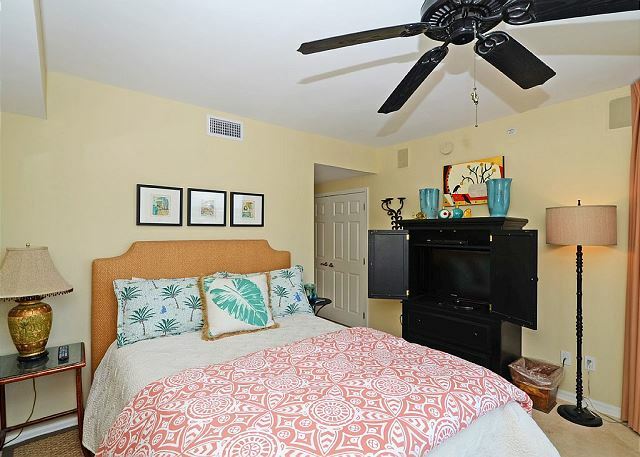 Enjoy the wonderful views of the Gulf or stargaze while relaxing to the sound of the surf or use the built-in sound system to play your favorite music in the unit and on the balcony. 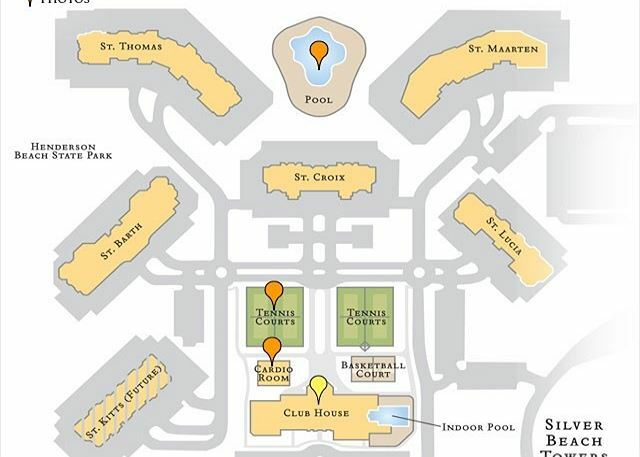 In the Silver Shells Resort, St. Maarten is the closest rental building to the beach. 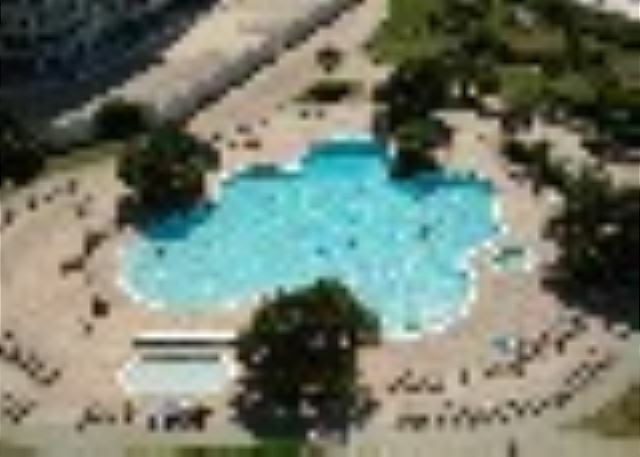 Direct pool or beach access from the Lobby or the underground garage. Henderson Beach State Park is right next door and the local favorite “The Back Porch” is within easy walking distance. Located on the Resort grounds is Ruth’s Chris Steak House (which provides room service) and “The Sand Bar” serving casual food and drinks. The Spa at Silver Shells is a full service spa where you can indulge in a body massage, facial, manicure, pedicure, or other soothing spa treatments. You’ll love the 7500 sq ft swimming pool with waterfall. Play tennis at the on-site courts or work out in the state of the art fitness center with an indoor heated pool and Jacuzzi. Reserved secure garage parking is available. Beach chairs and umbrellas available for daily rental. 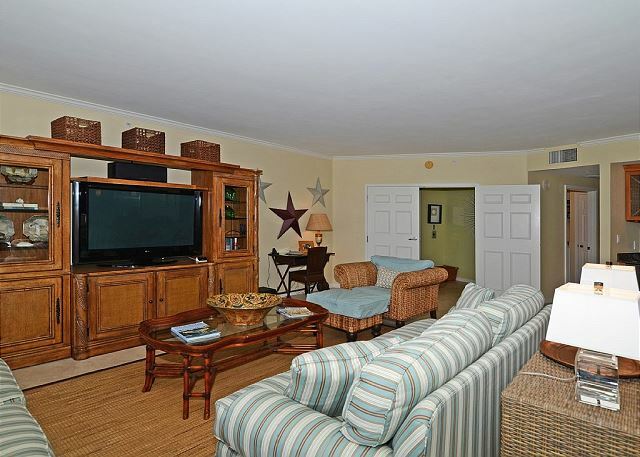 Conveniently located close to all Destin has to offer. Easy access to Destin’s private airport and less than 1 mile to Destin Commons, Destin’s premier shopping, dining, cinema, and family entertainment complex. The Resort is approximately 5 miles from Silver Sands Factory Stores Outlets, the nation’s largest designer outlet center. Experience Casual Elegance. Book your St. Maarten vacation at Silver Shells Resort and Spa today.